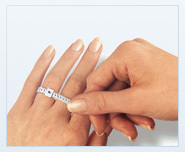 Women’s rings typically range from size 3 to 9. 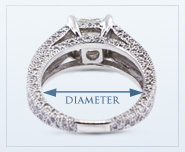 The most commonly purchased women’s ring sizes at Diamond Traces range from size 5 to 7. Size 6 is the most popular ring size.